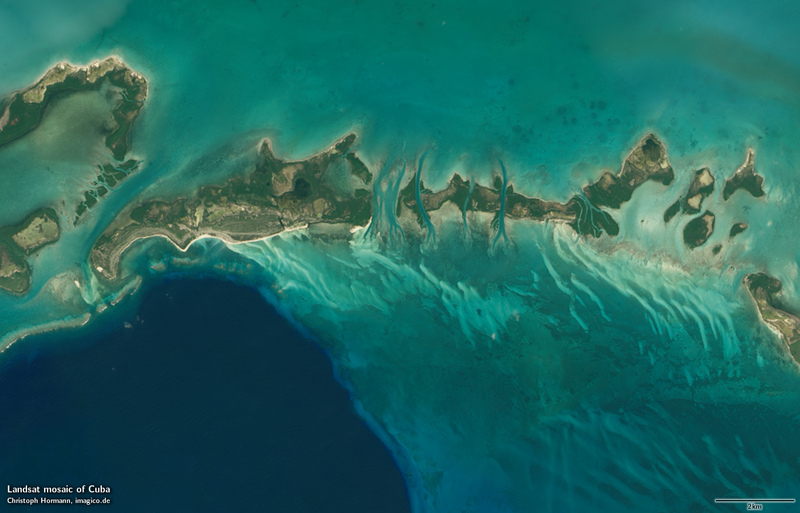 This Landsat mosaic of Cuba shows the island of Cuba in the Gulf of Mexico. 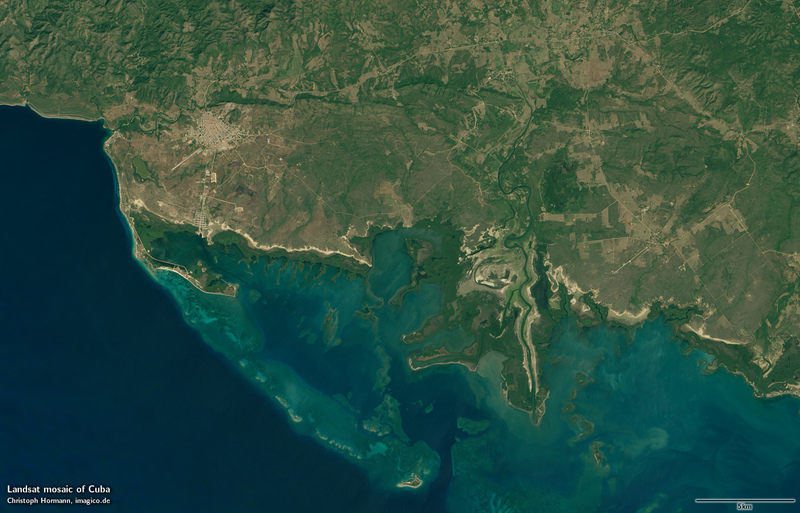 The image gives a realistic up-to-date visual color impression of the area with preference on data from the wet season and beginning of the dry season with strong vegetation. 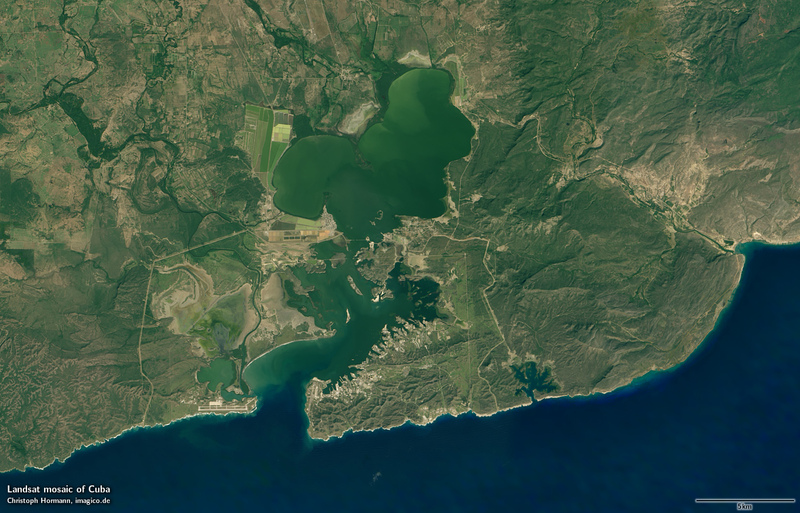 This Landsat mosaic can be considered a higher resolution supplement to the Green Marble and similarly it represents the surface color with compensation for the effects of the atmosphere. The mosaic features seamless coverage of the ocean using the Green Marble mosaic for areas further from the coast. 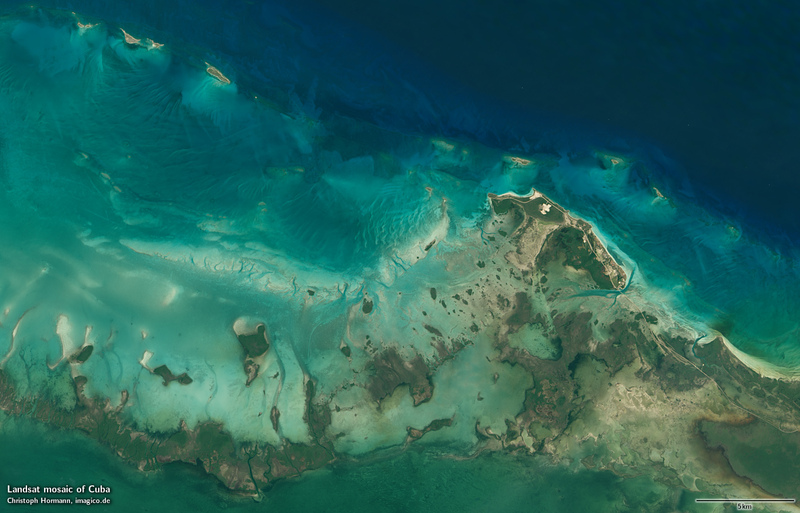 The high resolution Landsat data only covers Cuba and the smaller islands near it - other areas included in the image, especially the Bahama Banks, are based on Green Marble data. Source data is mostly Landsat 8 imagery from 2013 to 2016 with only few small areas where this has been supplemented by older Landsat 7/5 imagery. 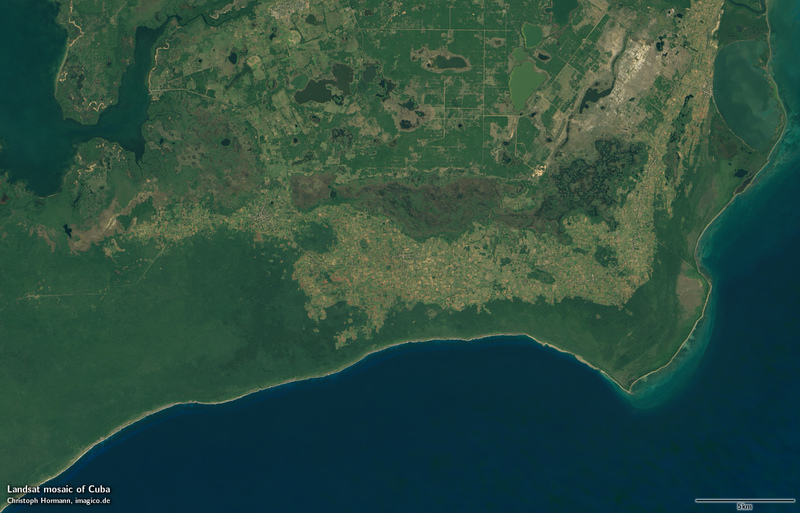 In addition to the visual color mosaic there is also a vegetation data set available based on the same Landsat imagery depicting the maximum amount of vegetation at every point - separated into woody and herbaceous vegetation. Assembled in UTM zone 17, can be made available in other projections. 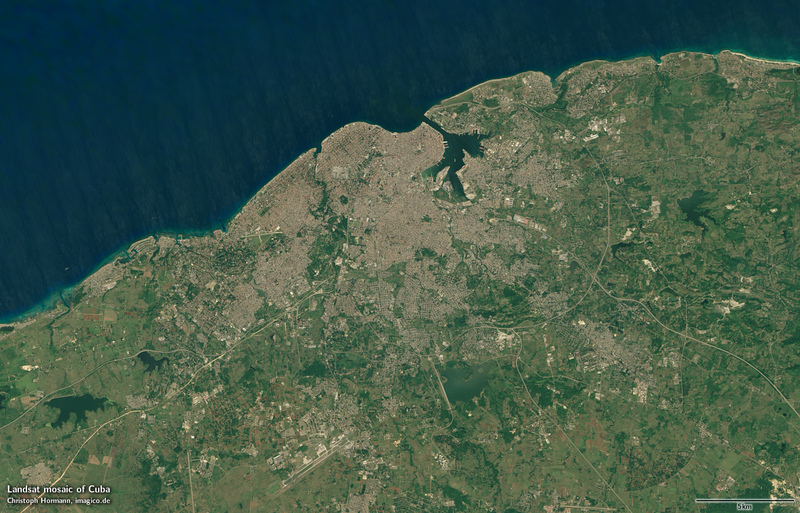 If you are interested in using this Landsat mosaic use the form below to describe your needs and i will get back to you.